Our Home Baby Home program is a flat rate program that focuses on parents and their newborn’s transition home during the first week. We will develop a schedule specific to your needs to ensure both you and your newborn’s return home is smooth and healthy. Let Sleep Well’s team of experienced newborn care specialists help you make a smooth transition from hospital to home with your new baby. We focus on the health and well-being of mothers and their babies – from bathing, changing and dressing, to feeding and health assessments. 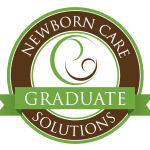 Our care specialists help parents and caregivers, with tips and tricks learned from years of infant care, acquire the skills to move forward with confidence.